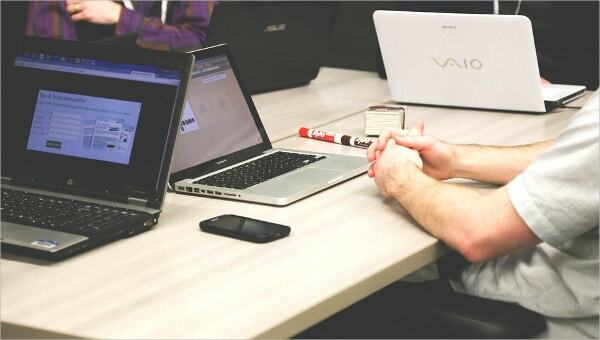 Meetings are held regularly in corporations where important matters are discussed and decisions crucial to the organisation’s future are taken. 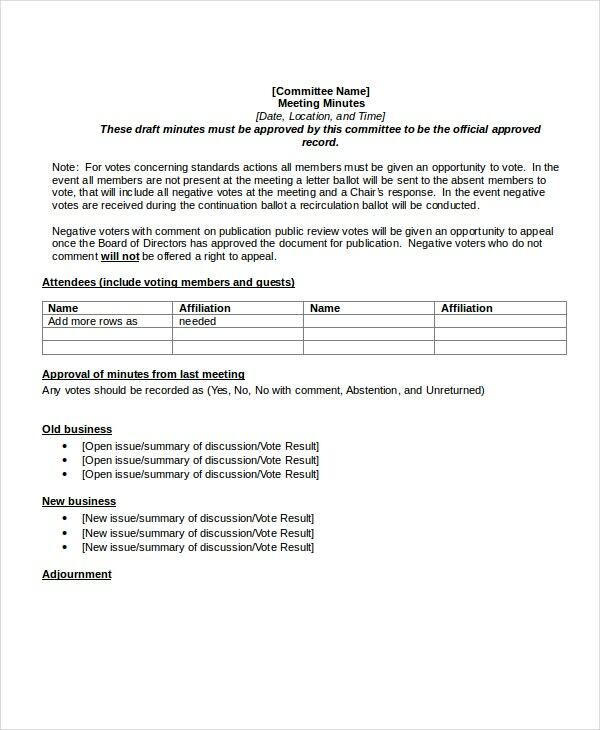 A useful way to keep a record of the proceedings of a meeting is by noting down the minutes of the meeting. Minutes of a meeting are an efficient and orderly way of noting various details of the meeting. The below given meeting minutes templates can help you in making these records in a systematic way. 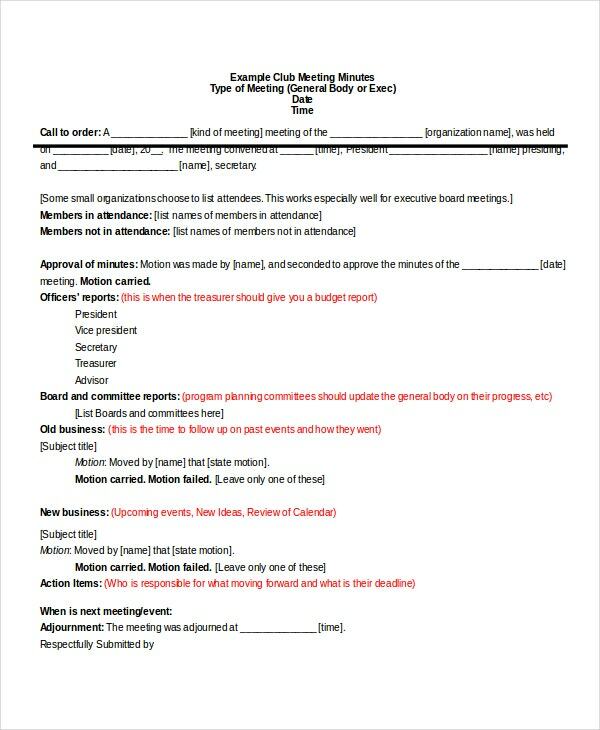 This is a meeting minutes template that can help you in noting the details of a meeting that takes places with the members of the board of a particular organisation. 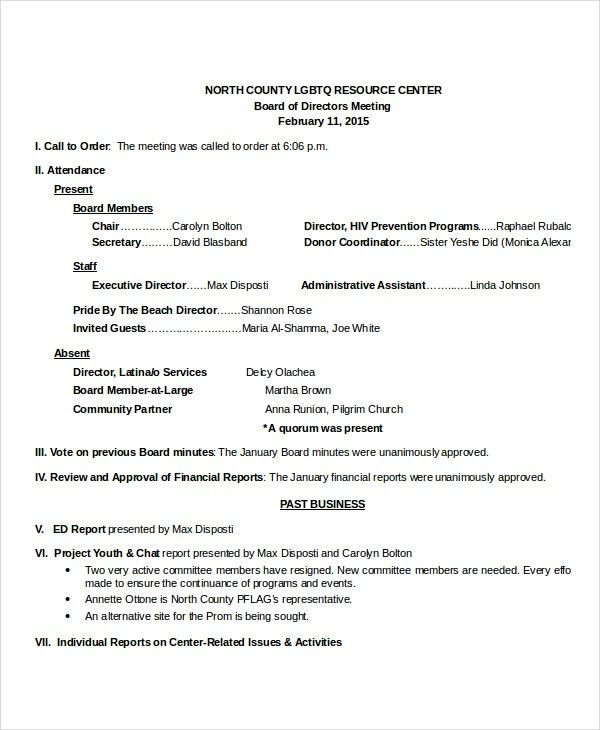 You can also see Board Meeting Minutes Templates. 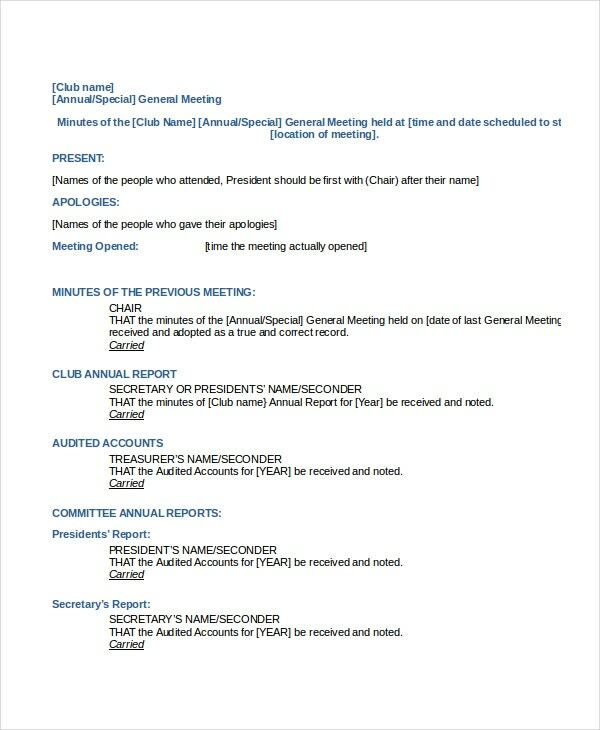 This is a meeting minutes template that can be made use of directly to record the minutes of a meeting held between the board members and the other members of a club. 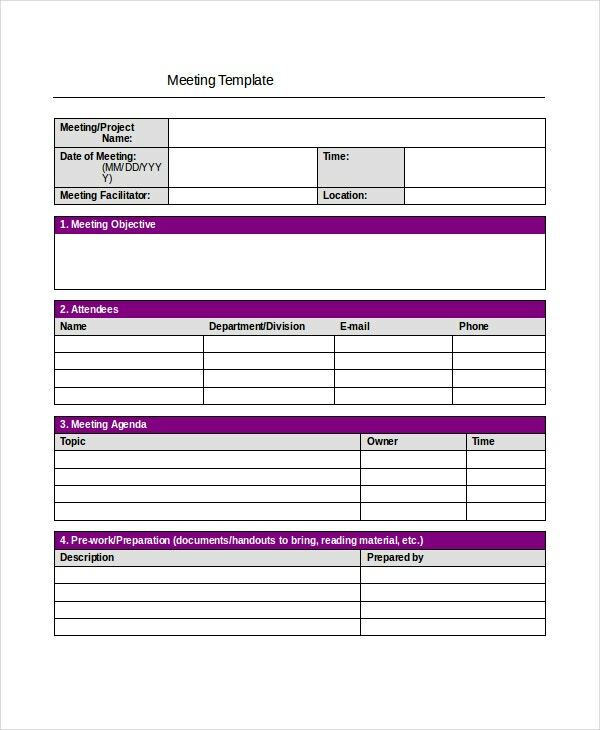 This is a meeting minutes template which contains a sample recording of the minutes of a meeting which you can use as a reference to record the minutes of your meeting. 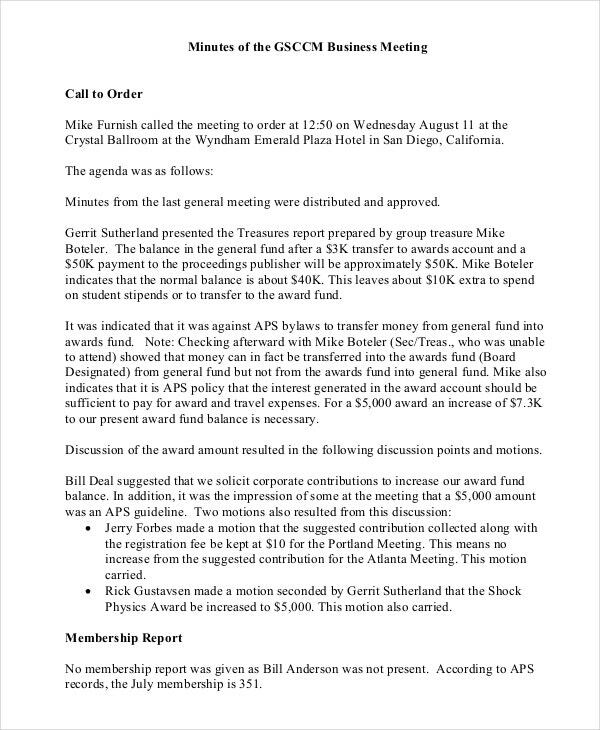 > What is the Purpose of the Meeting Minutes Templates? 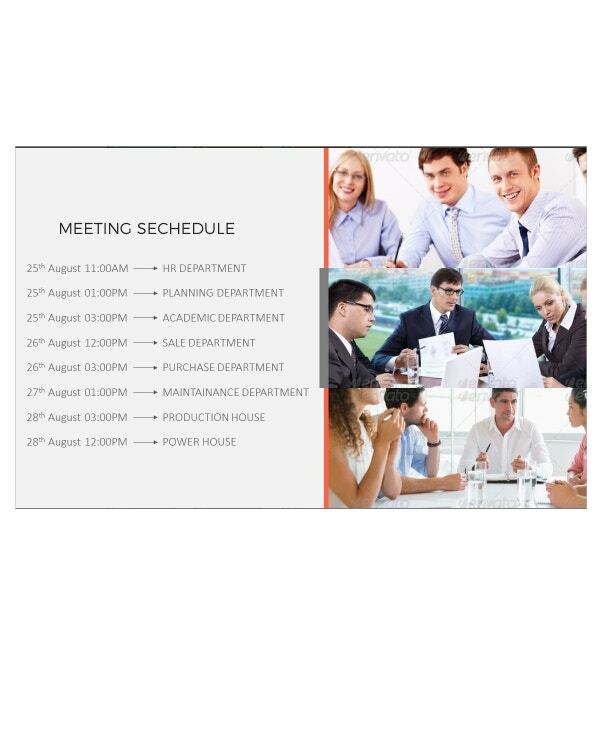 The purpose of the meeting minutes templates is to assist you in noting down the minutes of a meeting. 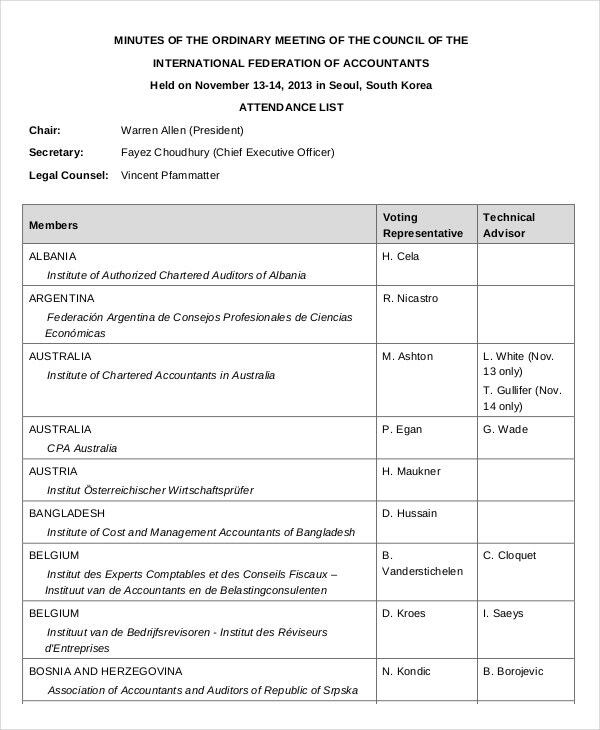 Minutes of a meeting contain important information regarding the proceedings of a committee meeting minutes templates. Minutes of the meeting contain useful information which can be used for various purposes in the future. 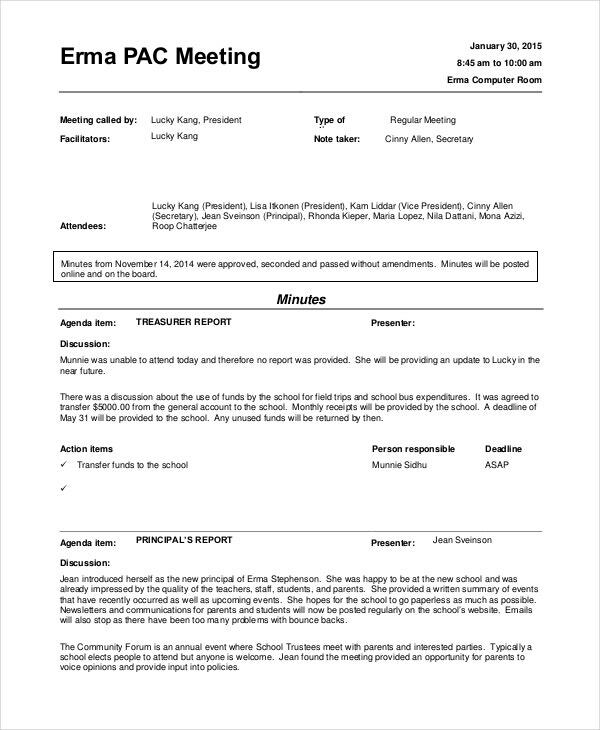 These records contain information regarding various topics discussed in the meeting, and the plan of action decided along with the way to implement it. These records also help in analysing the way of decision making of a company in the past and deciding whether any changes are required in it. 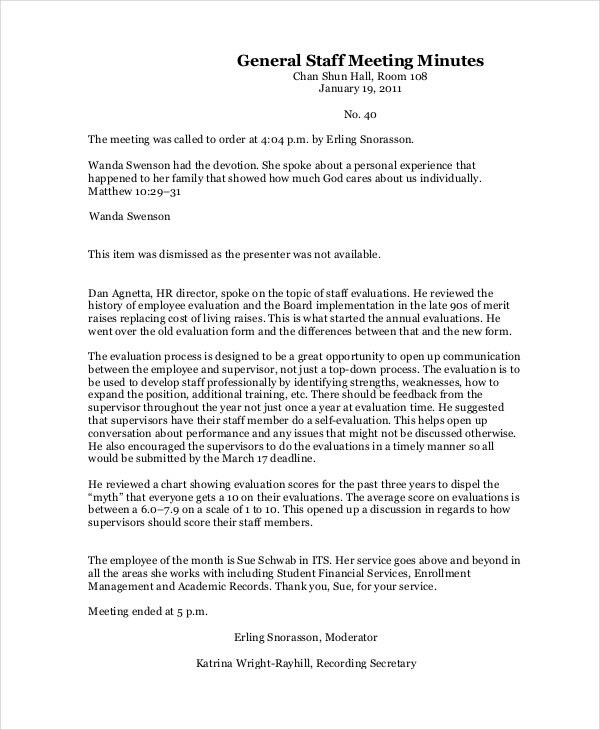 This is a meeting minutes template which has a sample recording of the minutes of a meeting for you to get assistance in noting the minutes of your meeting. 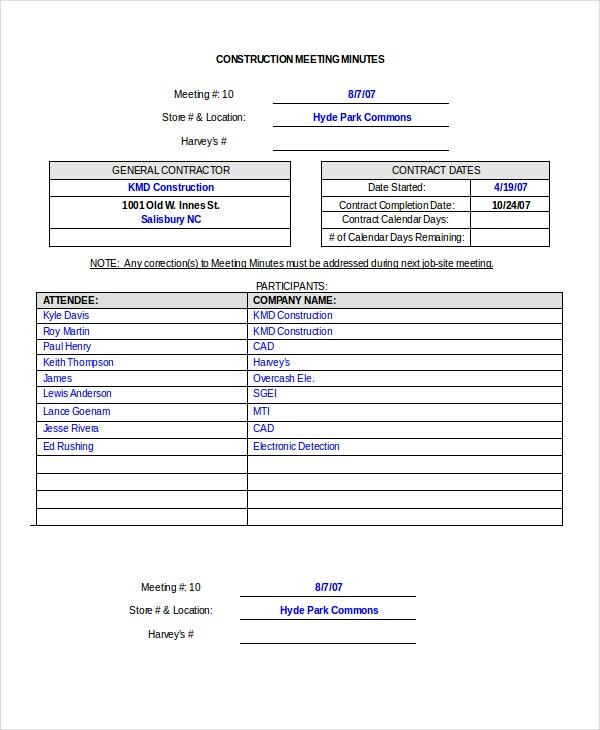 This is another meeting minutes template which contains a sample of minutes of a meeting which can help you in noting the minutes of a business meeting of a company. > What is the Best Way to Create Meeting Minutes? The best way to note the minutes of a meeting is to make sure that you have covered all the important details of the meeting in a way that can be easily understood by anyone who is reading it. For this, you should write different details separately and strictly follow the format given in the templates. You should note the physical details of the meeting which includes the date, time and location, followed by all the attendees, the agenda of the meeting and in details all the topics discussed in the meeting along with decisions taken in it. 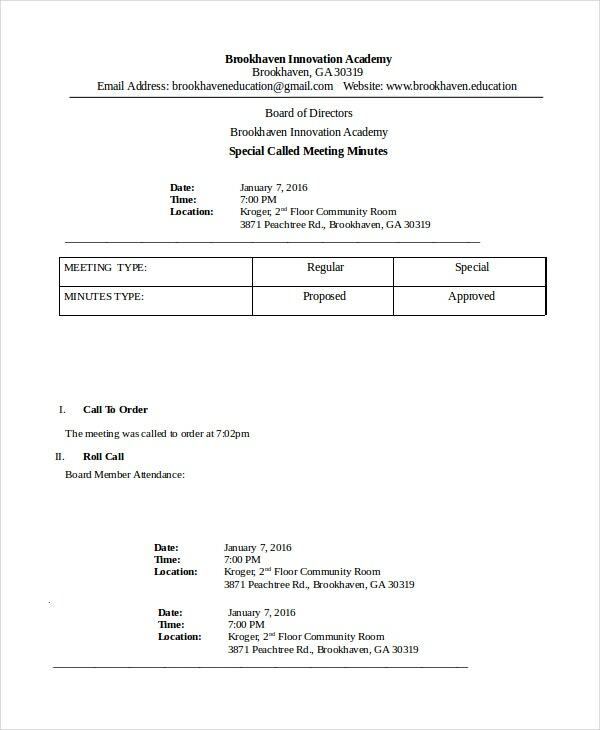 You can also see Free Meeting Minutes Templates. > What do Meeting Minutes need to Include? There are specific details that need to be included in the minutes of the meeting. The first thing you should include is the physical details of the meeting- its date, time and location. 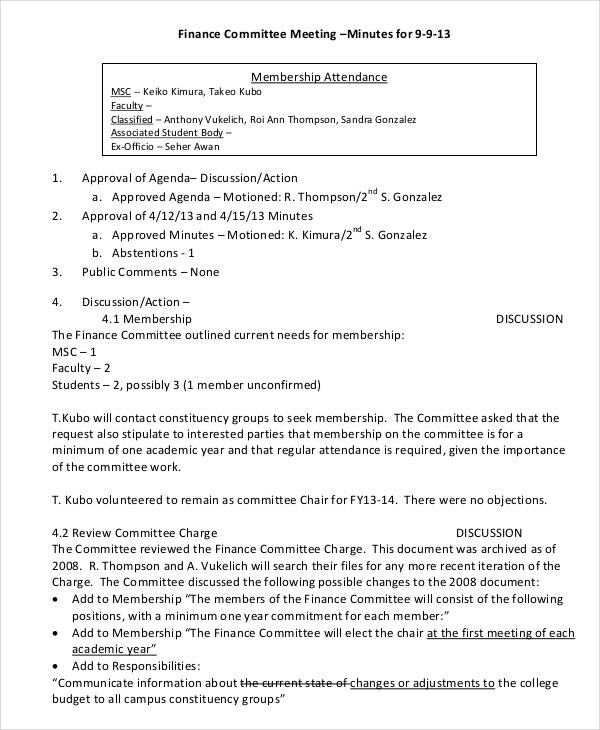 Then you should include the names of the people along with their titles who are attending the meeting and also the member who will be presiding over the meeting. Next, you should include the main agenda of the meeting. 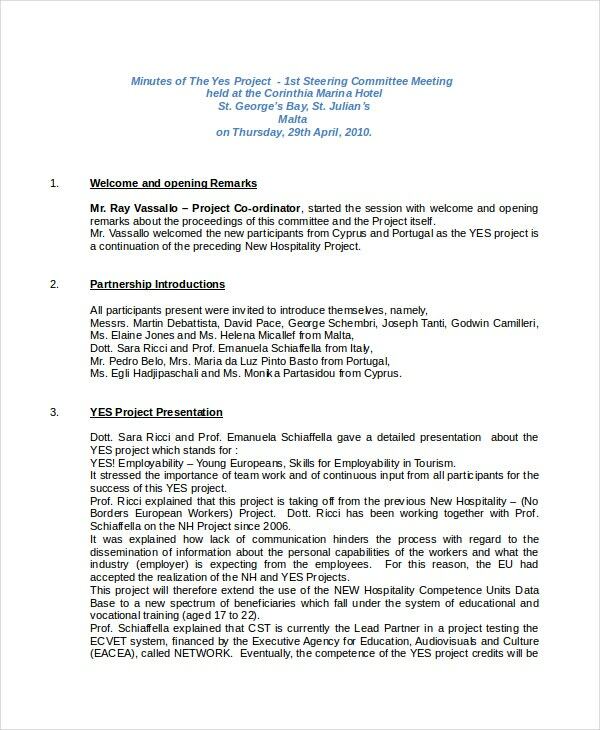 After this comes the various topics discussed in the meeting like the progress of actions decided to be taken in the previous meetings, how to proceed with the agenda of the current meeting and so on. If you wish to take notes during a meeting then you can make use of meeting notes templates. Meeting minutes templates are extremely useful and will surely help you in noting the minutes of a meeting in a very organised way so that the information given in it can be interpreted by anyone easily.